The Center for Sharing is part of an association of community-based programs designed to enhance the spiritual wellbeing of those served through nurturing deeper connections with self, God, others and their place. At their core are welcoming practices: inviting in strangers, evoking their gifts, putting them to work in service of some common good. Twenty-Seven-year-old Cecilia Stetson has had a long and cherished relationship with the Center for Sharing (CFS). She first came to the CFS in 2011 whilst experiencing a personal crisis that she shared with Cheryl, the director. She was put to work with the kids in the After-School Program. She recalls Cheryl’s words before she left one day. Cheryl said to her that she would love to attend her high school graduation. Cecilia said that those words gave her the much-needed motivation to go back and successfully graduate from Kamiakin High School in 2012. Cecilia is now back at the CFS working in the Collegium Cafe. She recently told me about an amazing incident. She said that she has developed a wonderful relationship with her father in law and when she heard that he was suffering from a tumor in the brain, she was quite devastated. The tumor was successfully treated a couple of years ago. However it resurfaced six months back and this time with greater severity. She said that the doctors had given up on him and that’s when she started to pray. One night as she was sleeping she had a dream where she trying to free herself from sea weed. She saw a rock in close proximity but was too tired to swim towards it. She then saw a man standing on the rock who offered to help her. He told her to let go but she was too scared to do that. He asked her to trust him and then she finally realized that she was free from the seaweed. She climbed the rock to safety. Cecilia told me that the next day morning her father in law was found to be cancer free. 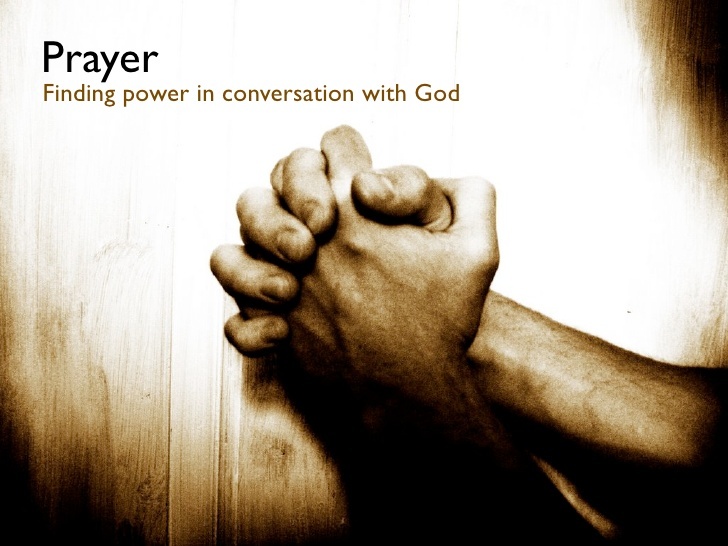 The power of prayer can only be experienced when we pray with conviction and a belief that transcends boundaries. There’s an undeniable, unknowable, invisible mystery to the power of prayer. That’s why our first reaction to prayer may be to dismiss it, and downplay it. But prayer is something that allows us to partner with God in the fulfilling of his will. Prayer has been created as a primary way of putting us into personal contact with him and with his eternal realities, any hour of the day or night. These are the miracles that happen in communities seeking to rebind what has been broken.